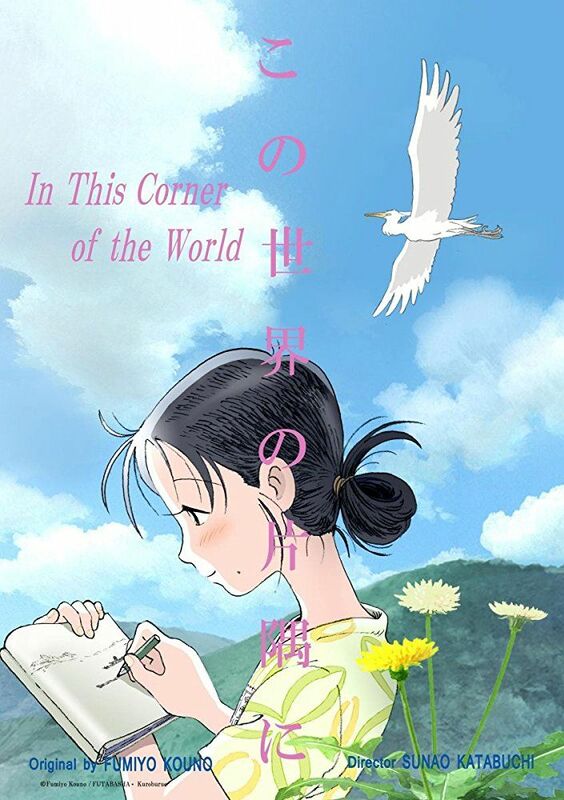 A young woman named Suzu, who is innocent and loves drawing, lives in a seaside town called Eba in Hiroshima City. In 1944, 18-year-old Suzu, working for her grandmother's small family business of cultivating Nori (edible sea weed), is told by her parents that an unknown young man has come to propose marriage to her. The man, whose name is Shūsaku, lives in Kure City, a large naval port city 15 miles away from Hiroshima City, as a navy civilian. He remembers that he and Suzu had first met during one of Suzu's childhood visits to the city. Suzu decides to marry him and moves to join Shūsaku's family in Kure. As Suzu adjusts to her new life in Kure, the threat of the Pacific War slowly begins to encroach on the daily lives of the townspeople. Read more on Wikipedia.